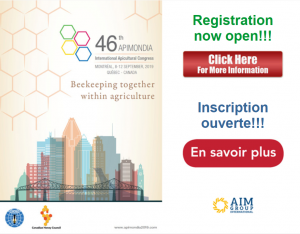 - 1-2 Apiary Technicians/Workers (NOC 8431) with 1-3 years (or more) of experience working in Canadian style apiaries. - Wages $13-$15 per hour, depending on experience, with a production bonus possible at the end of the season. - some supervision in the field may be required, as well as keeping records and notes. 1-2 Apiary Workers/General Laborers (NOC 8431)- no experience required, but must be trainable. - An ability to speak and understand English is preferred, but not required. - unwrapping, wrapping, and medicating hives. - Making nucs, splitting hives, assisting in queen rearing. - Checking hives, supering hives, pulling honey and extracting honey. - Mowing,trimming,and maintaining bee yards. - Cleaning and organizing work areas and equipment. - maintaining old and new hive equipment. -All applicants must not be allergic to bee stings. - Hard work, heavy lifting, working in the heat, and bee stings are a part of the job. Good health and stamina are required. -Employees should be able to work with others, and stubborn enough to stay engaged in the task at hand.